"The Godfather" won't be rebooted. That's the assurance from Paramount Pictures CEO Jim Gianopulos, who acknowledges that while the taste for nostalgia is currently at a fever pitch, some iconic titles can't be touched. 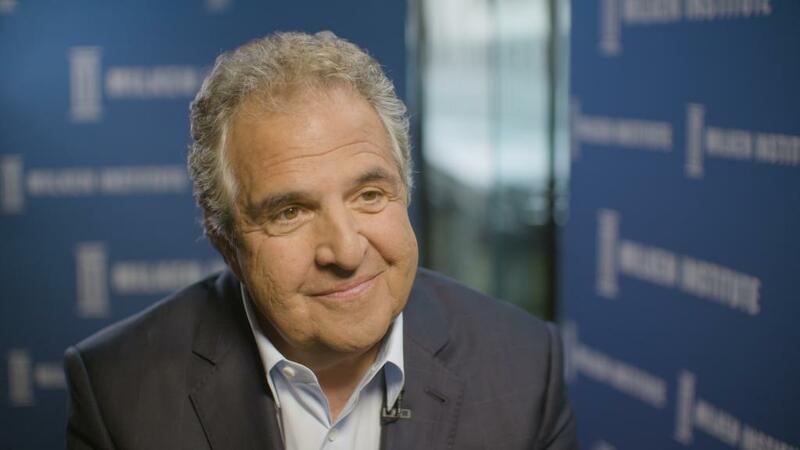 In an interview with CNNMoney's Dylan Byers at the Milken Global Conference, Gianopulos said a reboot is only successful if it brings something new to the table. "It needs to have an original story, it needs new elements and it needs new creative involvement," he said. With all of that in mind, Gianopulos predicts that the upcoming "Mission Impossible" movie being released this summer will be "the biggest of them all." Even if the latest "Mission Impossible" doesn't live up to his predictions, Gianopulos says it's still a "great time" to be a content creator. "We also have a library that goes back 100 years, so in terms of monetizing that library and having outlets for it that people can appreciate movies they haven't seen for a long time, this is has been a great time for people who own and create content," he said. Gianopulos said the value of Paramount's library is expected to increase 40% between 2015 and 2020 because of streaming services adding Paramount content to their portfolios. But now, the services want original content and "exclusivity." "They still need content creators, they still need filmmakers, they still need people to create stories and to develop properties and own [IP]," he said. "For example, we have Jack Ryan on Amazon, so now we're monetizing movies into television and television into movies seamlessly."